This is a great eyepiece for those telescopes with 2" eyepiece upgrade capability. It is of the highest quality and with beautiful finish to look great on the scope. The extra light compared to a 1/25" diagonal unit is very noticeable and absolutely worth the price. You paid over $2000 for your 10-12" telescope. Get a 2" this well-priced diagonal and you'll never regret it. 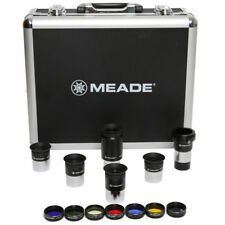 A first step when upgrading your eyepiece collection. 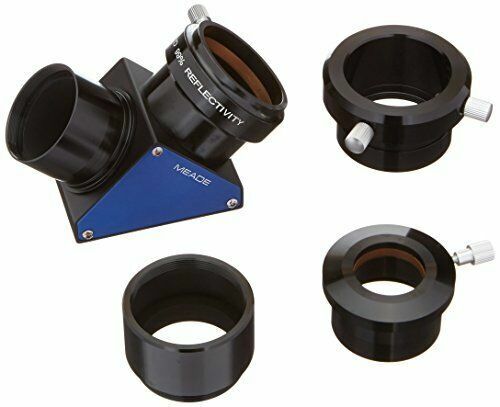 If you are looking at upgrading telescope eyepieces, start with the fundamentals and first upgrade your OEM mirror to a 2" 99% reflective mirror. 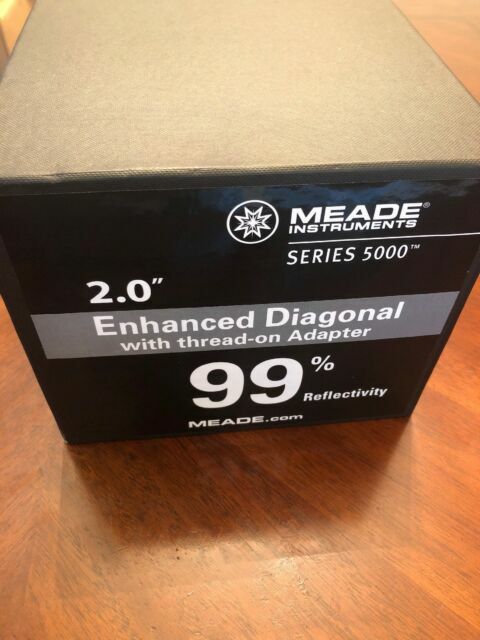 With the Meade 5000 series, you will not be disappointed. The difference will add a new life to your existing eyepiece collection, even if all you have are 1.25 components. The extra lights is readily noticeable in both planetary and galactic targets. It really is a work of engineering, and can feel it when holding. It might not be a Tele Vue, but for the price, it just cannot be beat and a very, very close second. Excellent name brand quality and it has any number of adapters including 1.25 inch eyepiece adapter for a price most manufacturers charge for the diagonal alone.